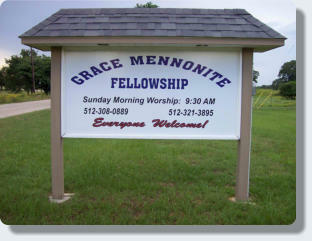 Grace Mennonite Fellowship is a small Amish Mennonite community seeking to understand and follow the teachings of Jesus. We have been asked and continue to ask ourselves "What do the teachings of Jesus mean?". We believe that he meant what he said and that his instructions have not become obsolete because of the length of time that has elapsed between now and then. So when Jesus said "If someone hits you on the one cheek, turn the other one to him", does that give me the right to sue someone when they injure me? Our Anabaptist forefathers said no, rather we should return good for evil. Many similar teachings in the New Testament continue to challenge us and our effort and desire is to be obedient to our Saviour Jesus. 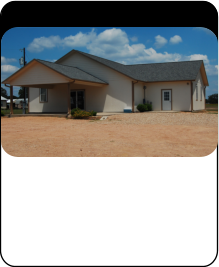 We are located 35 minutes southeast of Austin and 10 minutes west of Bastrop. Come visit us! 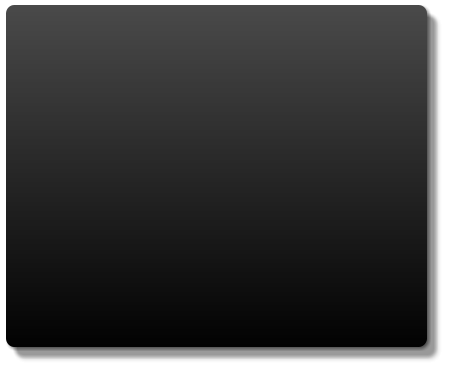 Our Worship Times Would you like to visit an Amish Mennonite church service? We would love to have you visit us!